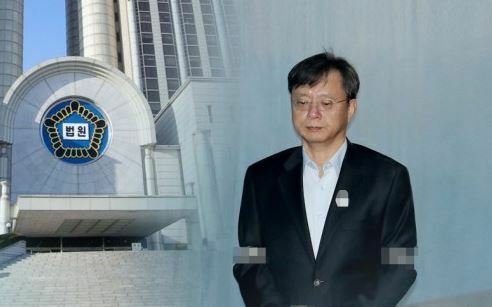 Woo Byung-woo, a former senior presidential secretary for civil affairs who served in the administration of President Park Geun-hye, is scheduled to be released from jail as of midnight as a local court did not issue another detention warrant, sources said Wednesday. Woo was sentenced to 18 months in prison last month for illegally surveilling public officials and private citizens through the state spy agency. He was already serving two and a half years on a separate case centering on abuse of power and other charges in connection with a massive influence-peddling case. With two cases are currently pending in an upper court, and the court said it has decided not to issue another detention warrant considering there is a legal debate on whether another warrant can be issued on the same charge. The prosecution expressed regrets on the court's claim, saying it cannot understand the decision considering Woo committed serious crimes that led to a combined jail term of four years.